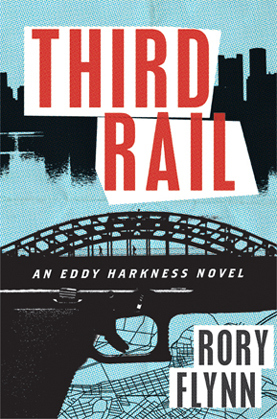 Luke Delany’s third DI Sean Corrigan police procedural will grab you from its creepy opening. The Toy Taker starts out strong and never lets up, with Corrigan’s team at Scotland Yard covering the sickest criminals that roam the metropolitan mecca. Delany’s experience as a former CID investigator serves him well and makes the story jolt into reality when a young boy is discovered missing from his bed one morning in a tony London suburb. There’s no sign of an intruder and no alarms were tripped; there are no signs of a struggle. 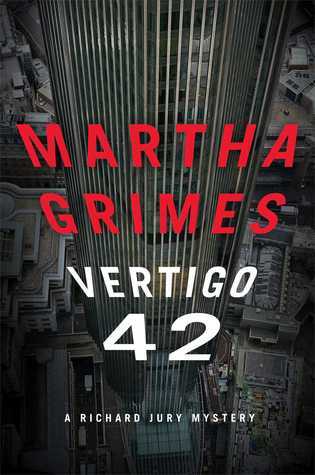 Corrigan has a knack of being able to put himself into the mind of the criminal he’s seeking, a device that seems to have left him in this installment, frustrating him, his wife, and his colleagues. The action doesn’t let up, even when another child is taken. What is the hold this predator has over the children who appear to have gone willingly with a stranger? Tautl written and gGuaranteed to keep you up late at night. After the huge success of Bernard Minier’s The Frozen Dead, Auntie M was not the only reader looking forward to the sequel featuring Commandant Martin Servaz of the Toulouse Crime Squad. 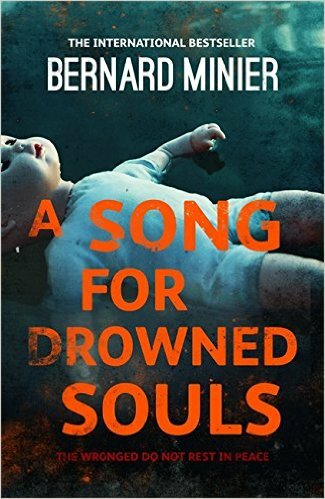 A Song for Drowned Souls is the kind of crime novel that presents a fascinating look at the lives of the perpetrator and of the team on the hunt. A young man is found, stunned, sitting by a swimming pool where dolls float on its surface. He’s discovered his teacher, drowned in her bath in a horrific manner, and is arrested for her murder. Servaz is called by his former college lover, Marianne, and immediately rushes over and takes over the investigation. The arrested boy is her son and she implores Servaz to clear Hugo. To do so, he must reopen old wounds of his time at the Marsac school in the Pyrenees at the elite school where the victim taught. He will run into former students now teaching there during the case and find a former friend and competitor for Marianne’s affections figures in the case. Servaz’s daughter has just started in the prep division there and her presence will provide both a distraction and a boon to his investigation as it soon becomes apparent there are ties between students at the school and the murdered woman. Miner examines the way the past haunts our present in a way that is chilling and highly believable. Even if you’ve never visited the area, Minier will have you breathing in the scent of the trees in this evocative thriller that takes police procedurals to a new height. Highly recommended. 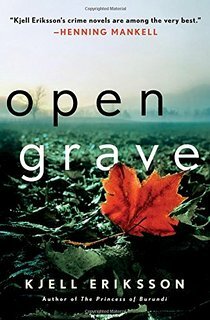 Kjell Eriksson’s Ann Lindell series continues with an unusual installment, not your usual hurried murder investigation at all, in Open Grave. The idea here is one more of a series of incidents that may or may not lead to murder. And the tension is palpable. An aging professor has just won the Nobel Prize for Medicine, yet instead of rejoicing, the announcement brings problems to the doctor’s upper-class neighborhood. There are jealousies amongst his colleagues, some who are his neighbors, and even his housekeeper of decades seems to be on on the verge of leaving. What is there about the man that causes this reason for celebration to bring out the worst in people? Eriksson spools out the story of the participants by delving into their pasts as unusual incidents start to happen. 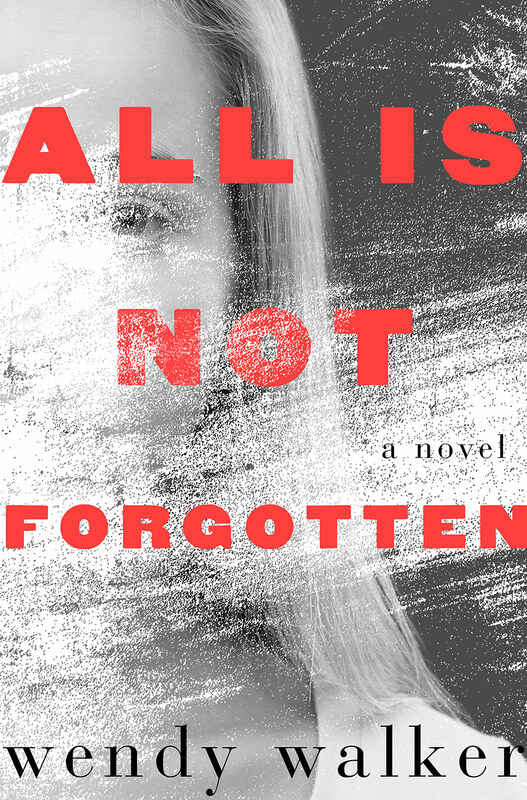 When Inspector Ann Lindell tries to sort out what is happening, her own past rears its head into the carefully arranged present she’s trying to fashion. And the expected outcome is far from the ending twist. The author knows human nature and describes it well in this psychological study that is subtle and character-driven. 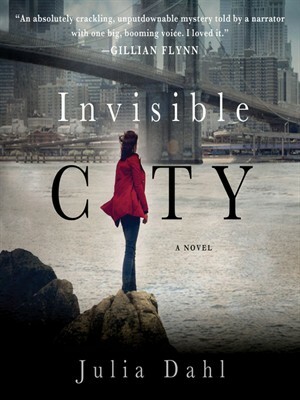 Julia Dahl’s first crime novel, Invisible City, garnered multiple award nominations and is still nominated for more. 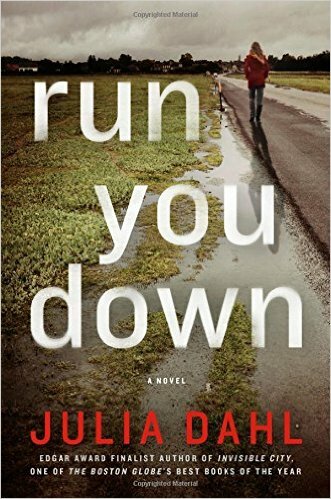 It was a highly rated debut for Auntie M last year so she was looking forward to its newest, run you down, featuring young reporter Rebekah Roberts. Rebekah’s ties to the Hasidic community started in the first book, her interested piqued by trying to find the mother she doesn’t know after Aviva Kagan abandoned her as a baby to be raised by her Christian father. Not sure she’s ready to meet the woman she’s finally found, Rebekah is drawn into Aviva’s community in Roseville, NY, by a man who contacts her about his young wife’s mysterious death. Pessie Goldin’s body was found in her bathtub, an apparent accident or unmentionable suicide–but her husband believes she was murdered. As she investigates, Rebekah will find others like her mother who left the ultra-conservative sect and formed their own group. Some rage about the restraints they were forced to live under in their old community. And others find themselves inexplicably mixed up with groups who would kill without a clear thought for the lives and beliefs of others. Dahl does a lovely job of letting Rebekah tell readers her story from her point of view as an outsider to a culture she’s trying to understand, while developing a wallop of a story that is its own mystery. One aspect Auntie M particularly enjoyed was seeing the protagonist’s growth and maturity in her job and in her personal life, which adds to the compelling aspect of the mystery. Don’t miss this one. 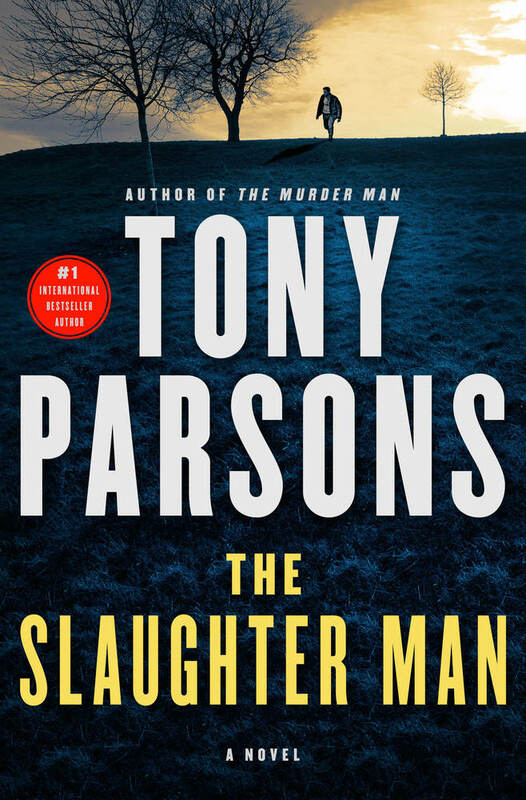 Auntie M enjoyed UK author Tony Parson’s foray into crime novels with The Murder Man, which introduced DI Max Wolfe, his daughter Scout, and their personable dog, Stan. With The Slaughter Man, Max returns to investigate a heinous crime that jumps off the page from the Prologue describing the horrific slaughter of an entire family, except for the youngest child, apparently kidnapped. It’s New Year’s Day when this occurs and the day after this wealthy family is found inside their gated-community home, all dead from a most unusual method: a cattle gun, used to stun cattle before butchering. When Max visits Scotland Yard’s Black Museum for background, he comes across a murderer who used just this method three decades ago and was dubbed The Slaughter Man by the press. Could the man, now released from prison, be on a murdering rampage? And why this particular family? The happy family included two teens and parents who were former Olympians. There’s history here and Max is determined to find out how the past of the parents has led to this slaughter, always aware that as time goes by, his chances of finding the kidnapped boy alive grow dimmer. Auntie M marveled at Max’s ability to withstand physical punishment, but Parsons does a good job illustrating his physical prowess and workouts at a local boxing club to balance what could be seen as super-human. For Max is definitely a very human detective, devoted to his daughter and her safely and happiness, and this makes him a very real character who leaps off the page and who readers will follow anywhere he takes them. Highly recommended. Sophie Hannah seems to be everywhere, and Auntie M says this with all due respect and admiration. Last year's The Telling Error has been published in the US recently under the title Woman with a Secret and was previously reviewed on this blog on February 1st. It’s the tale of a woman keeping a secret and brings back the unusual husband-and-wife detective duo of Simon Waterhouse and Charlie Zailer, an interesting and intriguing pair, and if you haven’t made their acquaintance yet, now’s the time to do it. Hannah was also the author of the new Hercule Poirot novel authorized by Agatha Christie’s estate, The Monogram Murders, notable for her outstanding voice of Poirot, which so many readers miss. 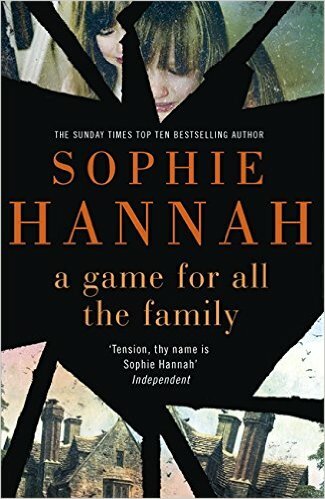 Now she has a standalone in A Game For All The Family, which shows her deft hand at psychological thrillers, as well as her ability to create an intriguing story from the most seemingly innocuous bits of people’s lives that somehow escalate before the reader’s eyes into full-blown terror. Justine Merrison is moving with her family to escape London and her high pressure job to the lovely Devon countryside, home to Dame Agatha, by the way. She has huge plans to do nothing at all, at least for a while, but the family is no sooner moved in than teen daughter Ellen withdraws and changes personality. It seems Ellen has written a story that describes a grisly murder set in the family’s gorgeous new home and just happened to name a character after herself. What starts out as a school assignment morphs into the story of someone else’s family. Her good friend is expelled from school for a trifle and when Justine goes to the school to ask the head to reconsider, she’s told the student doesn’t exist and that he never attended the school. Who is going crazy–Ellen or the school? And then the anonymous calls start, and Justine finds herself accused of sharing a murderous past with the caller whose voice she doesn’t recognize. 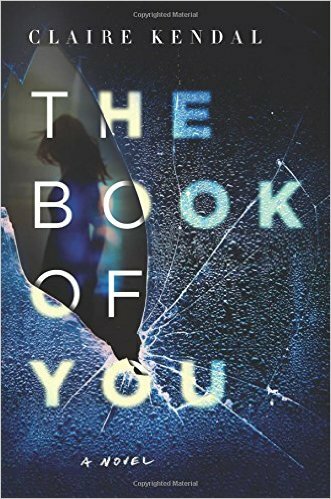 If you read and enjoyed Elizabeth Haynes Into the Darkest Corner then you will definitely want to read Claire Kendal’s The Book of You. University administrator Clarissa, getting used to a painful split from her partner, can’t wait for her jury duty to begin. She’s thrilled when she’s assigned to a case where she will have to be off work for at least seven weeks. Every day in the protected courtroom means a day out of sight of the man whose stalking is ruining her life and haunting her dreams on the rare nights she’s able to sleep. Rafe is the academic who turned one night’s encounter with her into his obsession. An expert on fairy tales, especially those of a dark nature, Rafe uses these to add chilling texture to the terror that has become Clarissa’s life. She’s unable to walk home from the train station or leave her home without seeing his shadow. 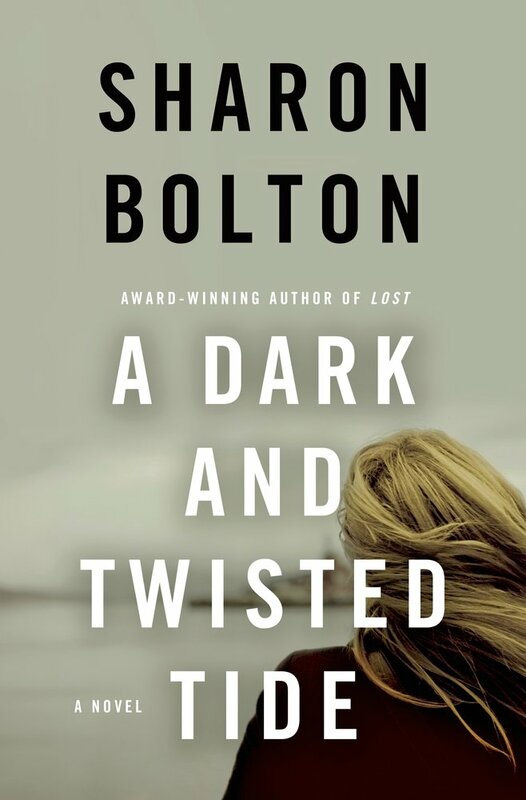 Even a walk in a nearby park becomes the stuff of nightmares until a stranger walking his dog interrupts what she increasingly fears could have been her murder, after researching Rafe’s personal history and learning that a young woman he’d stalked previously has disappeared. He is ever present in her life, showing up at her house with gifts she must save as evidence of his stalking and harassment to go to the police with enough incidents that they will take her seriously. A talented sewer, Clarissa uses her this sideline to keep hold of her sanity, as her physical health deteriorates and she must detail the conversations and presence of this sick man in her life in a small black book she calls the Book of You. Now as she takes solace in the jury room, making a few friends, attracted to a fireman in particular, Clarissa can’t help but notice the case they are trying of a young woman raped and brutalized mirrors her worst fears if Rafe should ever get in close contact with her again. The defendant’s grueling days on the witness stand point out that Rafe will try to twist her story around to his benefit, and Clarissa must have enough proof before going to the police of the seriousness of his intent. The power of the book comes from illustrating how much psychological damage an obsessive like Rafe can incur simply by his continued and annoying presence. And when his threats escalate, so does the horror that Clarissa feels and what she ultimately faces. This well-written thriller will have readers hearts beating as hard and fast as Clarissa’s does on a regular basis. A harrowing story of the ability to enact cruelty on another human being with Kendal’s knack bringing the reader right into Clarissa’s churning anxiety. One of the issues with writing a series where the main protagonists have conquered their romantic fear and plunged into a committed relationship is worrying if there will continue to be the same chemistry for readers to enjoy. Deborah Crombie has successfully conquered this in her series featuring London detectives Duncan Kincaid and Gemma James, married and raising a blended family. 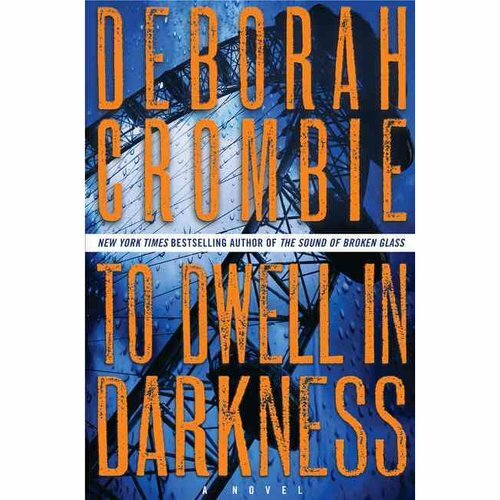 In her 16th outing, To Dwell in Darkness, she shows how it’d done: by creating a mystery plot that has tendrils that reach out into other areas, and by portraying the detectives family life with a sense of reality that keeps readers reaching for her books time and again. Raising young children with parents who are detectives is always a juggling act, and readers see how Kincaid and James handle those demands that crop up in family life, whether it’s the disposition of suddenly acquired kittens or a young teen needing to clarify a house rule about letting strangers into their home. The action this time centers around a small group of eco-protestors who live together and have decided to carry on a protest inside St. Pancras Station as a crowd gathers for a musical concert. Gemma’s sergeant, Melody Talbot, arrives at the event to watch her boyfriend, Andy Monahan, and his musical companion open the event. Both young musicians’ agents are in attendance when a sudden explosion changes everything. A man is on fire, burned beyond recognition by what appears to be a bomb and turns out to a phosphorus charge. The results are horrific: besides the charred body of the dead man, Andy’s agent, Tam, suffers burns to his trunk. When Melody rushes to try to put out the fire, she’s momentarily aided by a distraught man who suddenly disappears. And her own respiratory system is affected by the bomb. Duncan Kincaid will be the senior investigating officer on this case, his first after an unexpected transfer takes him from Scotland Yard to head a new murder team out of Holborn Station. He still questions the move and his one ally higher up the channels has taken a sudden leave and is unavailable. It feels like a demotion, without explanation, and Kincaid must adjust to his new team and how they work together–or don’t. When it’s determined from the protestors that the dead man is indeed from their group, but was supposed to set off only a smoke bomb, Kincaid must investigate how the bomb was switched and who was behind it, even as he tries to find the other witness, the man who assisted Melody and appears to have vanished into thin air. There are other threads here, as a good read should have, with Gemma sorting out her own case and missing Melody’s assistance. But the main thread this time is Kincaid’s, and not all of his questions will be answered at the surprising end of this well-wrought mystery. Auntie M always enjoys reading Crombie’s work, with one of the highlights her chapter epigrams, which contain historical information about the area where that mystery is set. 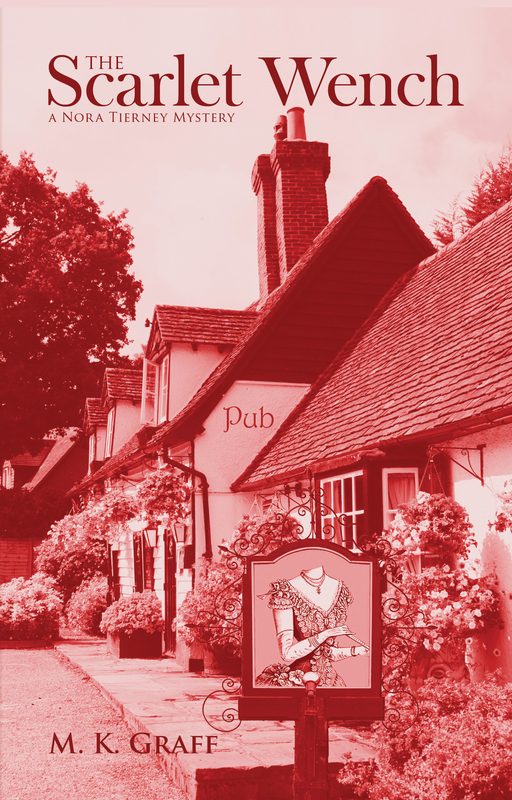 Readers learn about London and its suburbs as they are surprised by the turn of events. Highly recommended. 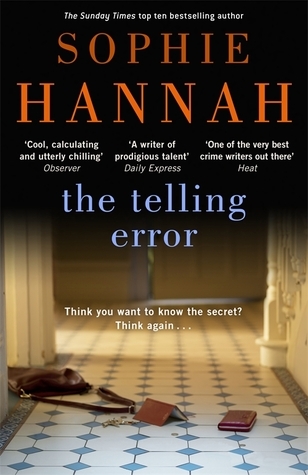 Sophie Hannah’s The Telling Error is her newest entry in the Zailer/Waterhouse series, an unconventional procedural set in England, where the action centers on a participant in the murder. Nicki Clements is the unlikely focus pulled in for questioning after the unusual murder in her neighborhood of a controversial columnist. Nicki is an easy liar, a woman who holds secrets of her own, but she’s not a murderer. How she’s gotten herself deeply into trouble, and the reasons behind her inability to tell the truth and to fabricate stories, all converge into this tale that has the feel of a nightmare too easily imagined by the average person. Award-winning Hannah has developed the art of telling a story that resonates with readers for her ability to decipher human emotions and actions. Her first Poirot novel will be published this fall. 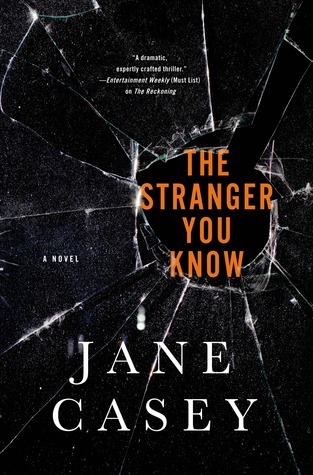 In her fifth Maeve Kerrigan mystery, Jane Casey’s The Stranger You Know brings readers the newest case for the London detective. Three women have been brutally murdered and arranged in a ritualistic manner. Each has had her eyes cut out, their hair sheared off, and lie on a bed or flowers. The killings echo a death from the past of Maeve’s partner, DCI Josh Derwent, the frustrating man she admires at the same time as he exasperates her with his unprofessional remarks and hot temper. Now she must decide if this man she works beside is wrongfully accused of murder–or if he’s being framed in a most horrendous manner. A vibrant addition to the series, Kerrigan’s frailties in terms of her own relationships add to the mix. Journalist Julia Dahl makes her crime fiction debut with the riveting Invisible City. Using her experience in several areas, she bring to life an new protagonist readers will want to follow: Rebekah Roberts, born to a Hasidic Jewish mother from Brooklyn and the Christian preacher from Florida who raised her. Rebekah takes a job in New York to bring her closer to the mother who abandoned her as an infant, convinced her motives are to be in the center of the journalistic scene. Working as a stringer she’s called to cover the story when the body of a Hasidic woman is found brutally murdered in a junk yard. Calling into question the NYPD’s relationship with the ultra-Orthodox community, she’s shocked to learn the woman will be buried without an autopsy, her husband never questioned by police. She’s determined to find the truth, and perhaps along the way, unravel a thread that may lead to her mother. Original and readable. Denise Mina’s Alex Morrow series finds the mother of young twins investigating the death of a businessman, only to discover a complicated network of corruption and deceit that reaches back to the Glasgow to the night Princess Diana died, when a 14 yr old girl found herself sitting in a car with a dead body and the murder weapon in her hand. How Morrow uncovers the real story, and finds a murderer, make for compelling reading in the unsentimental but very well-written series that never shirks at the realities in our world. Leigh Russell’s Geraldine Steel series has been reviewed here before. 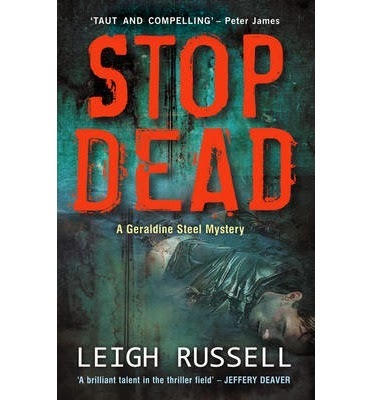 The newest addition, Stop Dead, finds Steel in her Met job in London, investigating the murder of a highly successful and unorthodox businessman. At first the victim’s business partner are prime suspects–until he, too, is killed in the same gruesome manner, and Morrow races to find the culprit with only one clue in hand: DNA that leads to two women, one dead and the other in prison. 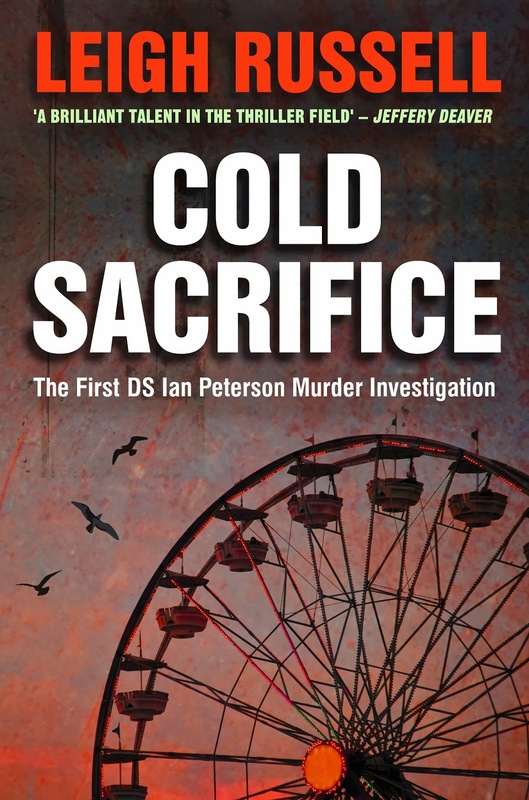 Russell brings back Steel’s former partner, DS Ian Peterson, in his own series in Cold Sacrifice. Still adjusting to marriage and thinking he may have made a mistake, Peterson’s newest case will take him away from his bride more than ever when three dead bodies pile up quickly. When the first victim, a middle-class housewife, is found stabbed in a nearby park, her husband comes under suspicions, but is soon cleared. That is, until the prostitute who gave him an alibi turns up dead, followed soon by the murder of another prostitute. Peterson will have his hands full trying to placate his wife at home while devoting his time to unearthing a killer. The husband and wife duo of Nicci French have a winner in the Frieda Klein series. 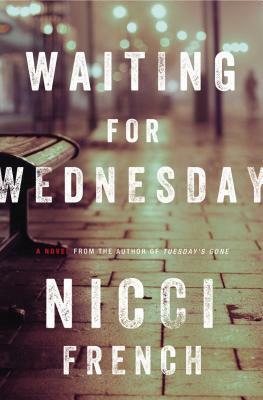 Waiting for Wednesday finds a weakened Frieda recuperating from the events that ended Tuesday’s Gone and have left her with physical and emotional wounds. Then DCI Karlsson asked her insights when a health visitor and mother of three is found dead in her home, the victim of a horrific attack. When her niece befriends one of the teens left motherless, Frieda finds the answers may lie closer to home than she thinks. And she’s very aware of her own teeming emotions and fragility, which affects her impulsive actions on several fronts. Another satisfying entry in the series. 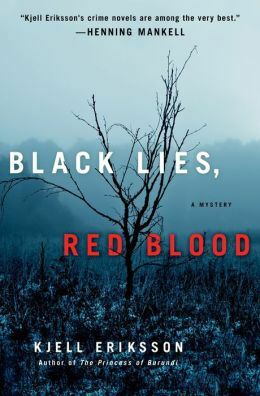 New to Auntie M but not new to Swedish fans everywhere, Kjell Eriksson’s Ann Lindell series brings the fifth entry, Black Lies, Red Blood. 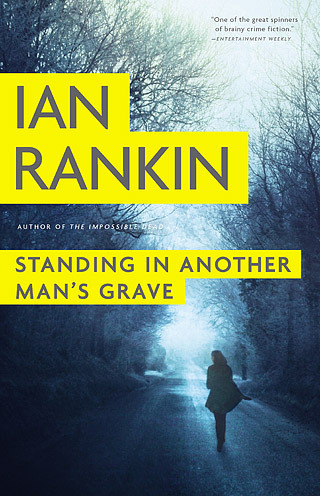 With an interesting protagonist, the female police inspector finds her newest case coming too close to home, when the journalist she’s been having an affair with is implicated in the murder of a homeless man. After his disappearance, Ann must decide if the man she’s fallen in love with could be a killer, while keeping the news of their relationship from her colleagues as she searches for another explanation. Filled with psychological and descriptive details. 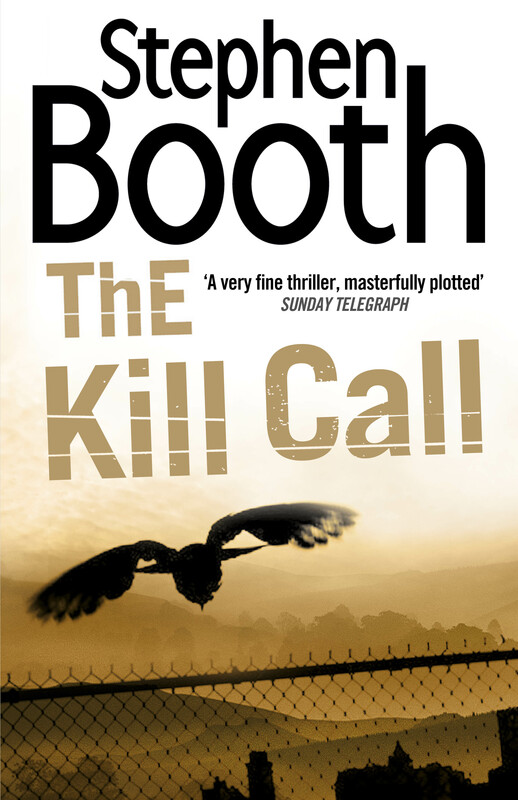 Stephen Booth’s wonderful Fry and Cooper series returns with Kill Call,this time exploring the world of hunting and horses. The case presents in a strange way, when on a rainy Derbyshire moor, hounds from the local foxhunt find the body of a well-dressed man whose head has been crushed. Yet an anonymous caller has reported the same body lying half a mile away. 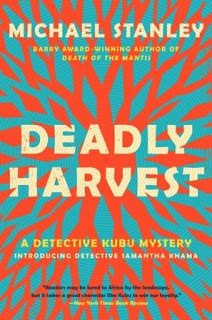 DS Diane Fry and DC Ben Cooper investigate and find themselves embroiled in the violent world of hunting and the saboteurs against it, Throw in horse theft and a connection to the meat trade and you have a mystery. Fry tries to unwind the complex and shady business interests of the murder victim, while Cooper decided that the answer to the case just might lie deep in the past. History is everywhere around him in the Peak District landscape — particularly in the ‘plague village’ of Eyam, where an outbreak of Black Death has been turned into a modern-day tourist attraction. Cooper can’t ignore the instinct that tells him this is at the heart of the case. New in paperback and in ebook from Witness Impulse, one of the slower-paced books in the series but nonetheless with an interesting and arresting case to follow. Also from Witness Impulse, the 10th Ben Cooper/Diane Fry Booth, Lost River; previously reviewed. This strong entry in the popular Peak District series revolves around a May Bank Holiday ruined by the tragic drowning of an eight-year-old girl in picturesque Dovedale. For DC Ben Cooper, a helpless witness to the tragedy, the incident is not only traumatic, but leads him to become involved in the tangled lives of the Neilds, the dead girl’s family. Cooper begins to suspect that one of them is harbouring a secret – a secret that the whole family might be willing to cover up. DS Diane Fry finds herself drawn into an investigation of her own among the inner-city streets of Birmingham, and quickly Fry realises there is only one person she can rely on to provide the help she needs, and that’s Ben Cooper. Just when you think there can’t be a new twist to a story, along comes Daniel Palmer, who surprises readers yet again with his newest thriller, Desperate. Told strongly in first person from the point of view of Gage Dekker, he and his second wife Anna Miller are desperate to adopt. Both have survived the loss of a child, and for Gage, the added loss of his first wife, Karen, compounds his despair when he meets Anna in a grief survivor’s group. After a whirlwind courtship, a meeting of the minds and hearts, the two are married six months when they decide to adopt after Anna experiences a miscarriage. A chance meeting with unwed mother Lily turns their anticipated long wait to adopt into a sudden rush when Lily asks them to adopt her baby. With their upstairs tenant gone, Lily is installed over their heads to await the blessed event. And then things start to horribly go wrong for Gage in several areas of his life, and Lily seems to be at the bottom of it all. But Anna refuses to believe Gage when he insists Lily is sabotaging his life. The two women have bonded and Anna is desperate for this child to complete their family; she blames Gage for the seemingly innocuous incidents that have him believing Lily is not who she seems to be. As the stakes are raised, Gage will find himself embroiled in a fantastical plot he can’t find a way out of, one that leads to murder, and he’s stuck at the heart of it. 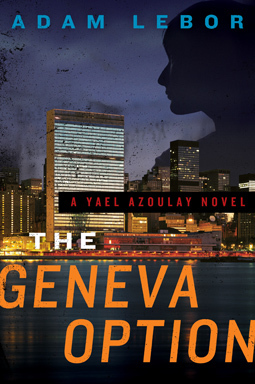 This compelling thriller will appear to leave Gage no way out, and then the complicated plot takes yet another twist until it careens around a sharp curve and readers will be left breathless and amazed at the audacity Palmer infuses into his novel. 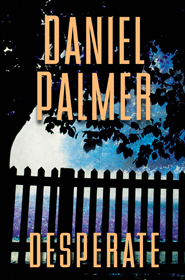 Compelling and intelligently written, Palmer will hook readers and draw you in, in this inventive thriller with its surprising events. Unexpected and original. Auntie M has read so many good books lately, she wants you to look for a few of these to take on vacation. Or read at the beach. Or just to veg out with at home. Lisa Ballantyne’s debut, The Guilty One, is a sophisticated and disturbing novel that revolves around London solicitor Daniel Hunter, who’s been hired to defend an eleven-year-old boy, Sebastian, accused of murdering an eight-year-old friend. Sebastian’s home life is troubled, a factor that comes into play as Daniel struggles to get at the truth of the case and explores just what forgiveness means. For Daniel, whose own childhood was fraught with turbulence and upheaval, the case brings back his history in foster homes until he settled with the one woman who saved him and allowed him to flourish as an adult. But memories of Minnie Flynn bring their own ghosts and Daniel finds himself disturbed at trial and in his home time. Told in alternating chapters between the present case with Sebastian, and Daniel’s life with Minnie on a remote Cumbrian farm, Ballantyne ties the subplots together in a resounding ending that manages to be suspenseful and unsettling, yet gives a whiff of hope. This is an author whose next book Auntie M is anticipating. 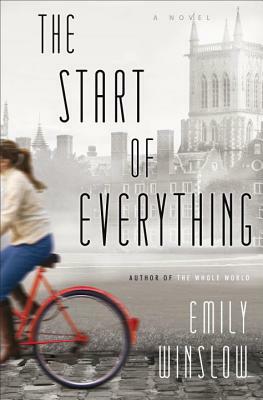 Emily Winslow takes readers to the world of Cambridge in the complex plot of The Start of Everything. When the decomposed body of a teenager washes up on the flooded fens, the case falls to DI Chloe Frohmann and her partner, Morris Keene. Establishing the victim’s identity is their first order of business and they investigate even tiny clues that might lead them from the hallowed squares of Cambridge to the name of the dead girl. This search leads them to Deeping House, where several families reside and were snowed in together over Christmas. Three families include two nannies, and a young writer who were all housebound together. Chloe becomes swept up in the long-buried secrets of old crimes and their more recent counterparts as she seeks the truth. There will be misaddressed letters and hints of affairs buried alongside murder. Along this road, her loyalty to her partner is severely tested as the tales of the separate lives are examined through their eyes. 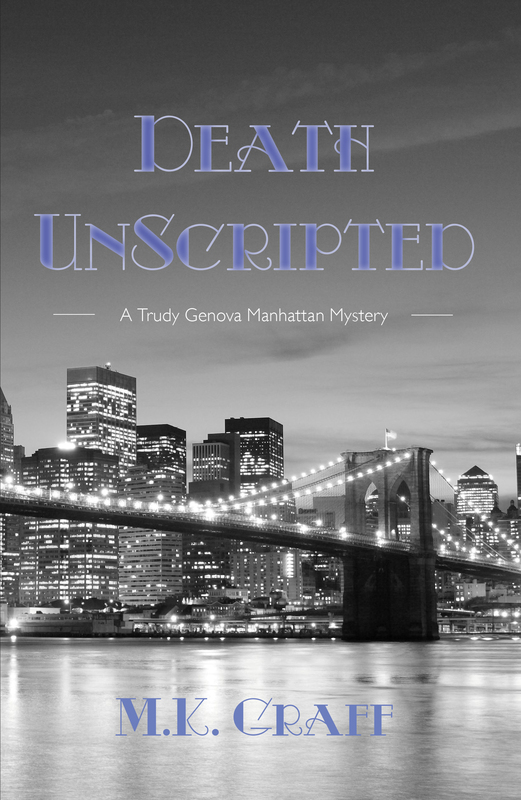 As Chloe looks deeply inside the minds of her involved suspects and the story hurtles toward its tangled conclusion, readers will be caught up in this deft and unusual mystery. Steve Hamilton: Die A Stranger and North of Nowhere: Lee Child calls award-winner Hamilton “a proven master of suspense.” North of Nowhere is fourth in his Alex McKnight series, and a superb entry to the series for readers who may have missed the ex-cop turned private detective and his solitary northern world of Paradise, Michigan. When a poker game turns into a robbery, Alex’s search for answers proves much more than a simple robbery. Die A Stranger gives readers a huge window into Alex’s reclusive world and his friendship with Ojibwa Vinnie Leblanc. When a plane is found with five dead bodies aboard, Vinnie’s subsequent disappearance sends Alex into a search across Michigan’s Upper Peninsula for his friend, despite the danger to himself. The Fallen Angel by Daniel Silva: Art restorer and once-again spy Gabriel Allon returns in an international thriller that starts within the walls of the Vatican, when the body of beautiful antiquities curator is found beneath the dome of St. Peter’s Basilica. 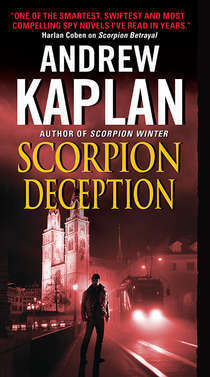 He’ll face sabotage, looting, and vengeance as he travels Europe to find the culprits, all rendered with Silva’s trademark blend of history and strong settings. Tuesday’s Gone by Nicci French: The second Frieda Klein mystery continues the series with the psychotherapist once again working a case with DCI Karlsson when a mentally disturbed woman is found in her flat with an unknown decomposed body–and she can’t tell them the body’s identity. The Reviver by Seth Patrick: Reviver Joan Miller works in the forensics department whose talented members revive corpses to find justice. When a terrifying presence enters his mind during a revival, Jonah becomes convinced there is a sinister force at work that may affect all of mankind. 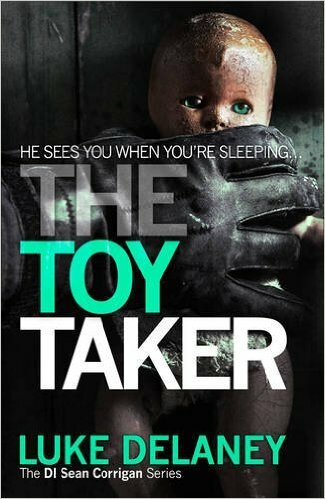 Edgy and different, with the addition of the paranormal into the police in a blurring of genre lines. 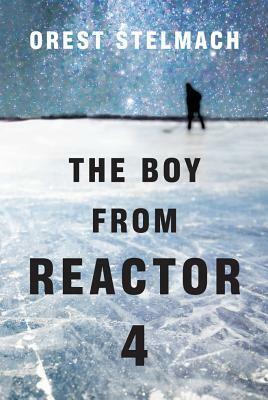 First of a trilogy already optioned for the big screen, it reads big with a large cast and many subplots that intertwine. Ready to Die by Lisa Jackson: Bringing back detectives Regan Pescoli and Selena Alvarez, Jackson’s thriller follows their search for a murderer who is killing law enforcement officers in Grizzly Falls, Montana. 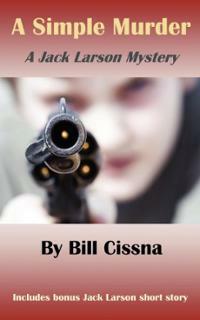 A twisted ending will involve Pescoli’s son and blow away what she thought was the resolution to a murder’s hit list. 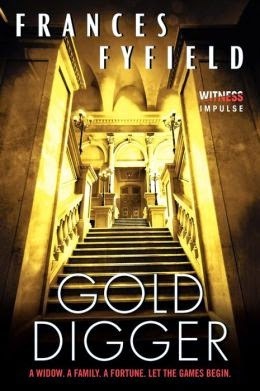 True Colours by Stephen Leather: Spider Shephard returns with an unusual assignment from MI-5–track down the assassin of some of the world’s richest men, including Russian oligarchs. 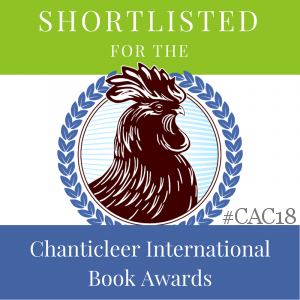 With international settings and Leather’s flare for action, Spider will deal with political and personal intrigue, as well as a Taliban sniper from his past, in this fast-paced thriller. Heroes and Lovers by Wayne Zurl: This Sam Jenkins mystery with a hint of romance follows the ex-NY detective in his current job as Chief of Prospect, TN Police. When TV reporter Rachel Williamson’s exclusive story on Jenkin’s fraud investigation leads to her kidnapping. Feeling responsible and a whole lot more, Jenkins will need all of his friends, including those from the FBI, to help him track Rachel down. My Name is Hardly by Martin Crosbie: Following the success of My Temporary Life, Crosbie returned with his second in a planned trilogy featuring his protagonist, the Scottish soldier Hardly whose Irish lost postings are taking their toll as much as the Provo’s he fights. Filled with action and insights into the realities of aa soldier’s life. Ewart Hutton’s debut Good People features a most unusual detective: DS Glyn Capaldi, half-Welsh but also half-Italian, and it’s those dark good looks that set him as an outsider. A case with an less-than-happy ending has sent Capaldi on exile from Cardiff to the rolling Welsh countryside where he’s learning the back roads and mores of the locals. A call for a minibus hijacking looks like a routine call, especially when the missing van is found the next morning, an apparent prank. But all is not well: six young men and one young woman appear to be missing, and when not all of them are found, Capaldi smells a case with his detective’s instinct. Despite the villager’s assurances of the men’s goodness, Capaldi investigates and runs into opposition from the townspeople, who staunchly defend the mens pranking. These rural landowners command a high influence in the area; their word is taken as gospel. It will be left to Capaldi to unravel what really happened that night, with consequence reaching into the past he could never foresee. Betrayals leading to depravity only scratch the surface when the truth is known, and not before a suicide occurs–or is it murder? Hutton brings the reader into Capaldi’s world of dark woodlands and small towns that survive by their own code of justice. 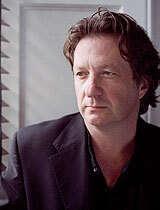 This is a crime thriller with an edge, and readers will hope the cynical voice of Capaldi returns, and soon. 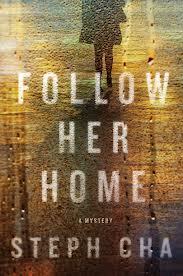 Steph Cha is a fresh new voice in the noir thriller Follow Her Home, one that will smack you over the head with its heroine, Juniper Song, a devotee of Philip Chandler and LA Noir. 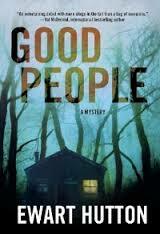 Juniper has a cadre of friends and a troubled past that her favorite noir fiction keeps at bay. Known as “Song” by her friends, she responds to her good friend Luke’s request to find out if the new paralegal at his father’s firm is also his newest mistress. 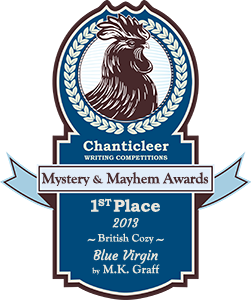 Song as no real idea how to proceed, but armed with her pack of Lucky Strikes, in best Chandler fashion she tails various suspects and the young woman herself–and finds herself up against more than she’d bargained for when she agreed to help Luke. At one point she is knocked unconscious and wakes up as the body in the trunk of her own car. This is carrying things to far for Song, and she steels her determination to conquer her past and plunges into LA’s underground, determined to find out whose buttons her minor investigation have pushed. Cha gives readers a fascinating and yet disturbing lesson as she examines young Asian woman as fetish objects, which will come as a surprise to many readers. This adds a depth to this already compelling story while keeping the twists and turns flwoing as the story plays out. What starts out in an almost playful mood turns serious, yet Cha keeps Song’s voice smart and crisp in an almost heartbreaking worldy manner, in this striking debut with a modern twist on old town noir. 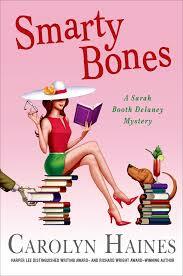 Taking a leap across the nation and a huge change in tone, Carolyn Haines returns with the twelfth Sarah Booth Delany Mystery in Smarty Bones. Enjoying time with her hunky fiance Graf before his next Hollywood shoot, Sarah Booth’s usual friends surround her: her partner in their PI firm, Tinkie; her long-time friend CeCe; and even Jitty, the Civil War ghost who inhabits Dahlia House and drives Sarah Booth to distraction when she appears in various guises. This time around Jitty is hooked on cartoon characters, but her words of wisdom are destined to revive Sarah Booth’s spirits when she reluctantly agrees to look into the claims of a professor who has arrived in her hometown of Zinnia, Mississippi. Prof. Olive Twist is indeed the product of Dickens scholar parents, but she resemble Olive Oyl more accurately, with her thin frame and huge feet. But those big feet hide an even bigger brain, and Twist has arrived to prove that the mysterious Lady in Red, found in an anonymous grave and lovingly preserved, was involved in the plot to kill Lincoln–and she plans to implicate the families of Sarah Booth’s best friends. Then Twist’s young assistant is murdered at a nearby Bed & Breakfast where they were staying and things take a dramatic turn despite the large amount of humor that fills the pages. Complicating matters are the family secrets and devious plots of some of these very families, and Sarah Booth soon finds herself and Graf involved on a level that turns deadly and will have far-reaching consequences for several of those Sarah Booth has come to love.